These are the kind of pranks we’d be down for. It’s kind of funny that Porsche likes to play pranks on unsuspecting passengers by swapping out their standard rides for high-po Panameras. In some cases, it even installs some of its factory racing drivers in the driver’s seat and sends riders on high-speed adrenaline-filled runs that they didn’t ask for, sort of like Madonna’s famous ride with Clive Owen in BMW Films’ well-produced The Hire commercial. However, unlike the E39 M5 used in that video, the Porsche Panamera is harder to mistake for a pedestrian sedan. Partnering with Zipcar, a rideshare service common in cities where parking is a challenge, Porsche lent one lucky user a Panamera 4 E-Hybrid, one of the best cars for the London inhabitant who would like to cruise the streets quietly and efficiently in electric mode and rip up the road when it widens. Porsche even sent the nameless couple who won the contest to the Porsche Experience at Silverstone Raceway where they were taken out onto the track and shown how to properly thrash the super sedan around the track. 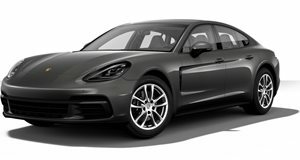 Bear in mind that the Panamera 4 E-Hybrid combines a 330 horsepower V6 engine with a 136 horsepower electric motor in order to reach a total of 462 horsepower and 516 lb-ft of torque. That's then sent to the four wheels where it can produce numbers like a 0-62 mph rush in 4.6 seconds. If the eco thing is your thing, 94 mpg should be a reason to smile. So wait, where's our Porsche Zipcar?